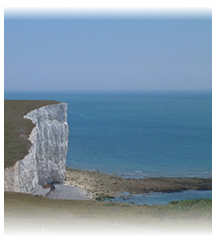 The South Downs Way offers 100 miles of fantastic off-road cycling. The route goes through Alfriston and is easily accessible from Riverdale House. We have a secure area for bicycles and drying facilities for cyclists. For an additional charge we are able to organise transport for cyclists' luggage to the next overnight stop and packed lunches for cyclists.